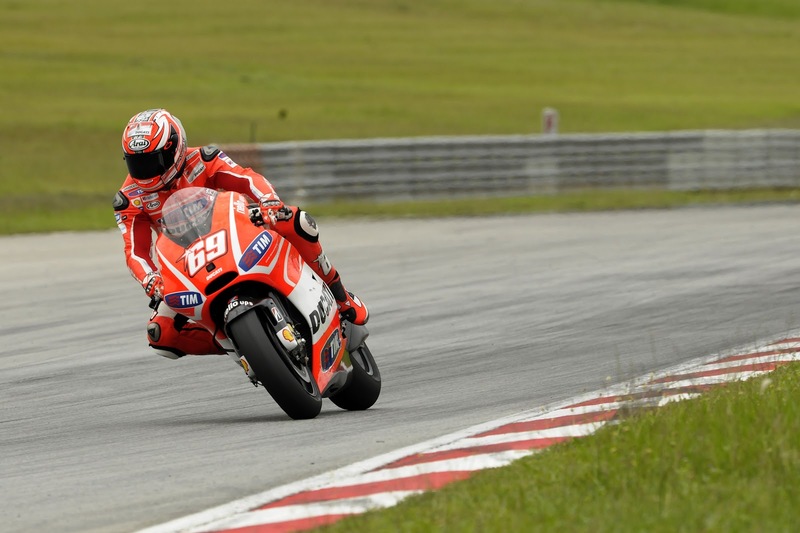 The second day of testing at Sepang saw a similar story to that of yesterday, with both factory Ducati riders in 8th and 9th, this time with Hayden 0.025s ahead of Dovizioso. With the weather having cleared up from day one, both riders had the opportunity to continue with their development of the Desmosedici, both noting progress, despite the 1.5s gap to the front which Ducati are all too familiar with. However, the 2 riders found themselves not far behind the likes of Bradl and Bautista, and nearly 8 tenths ahead of Pramac Ducati rider, Andrea Iannone. Next Next post: Guest Blog: The New Faces of Moto3, part 2.